New York City…here I come! I’m headed to the Big Apple today for the weekend. What does The Opinioness have planned?? 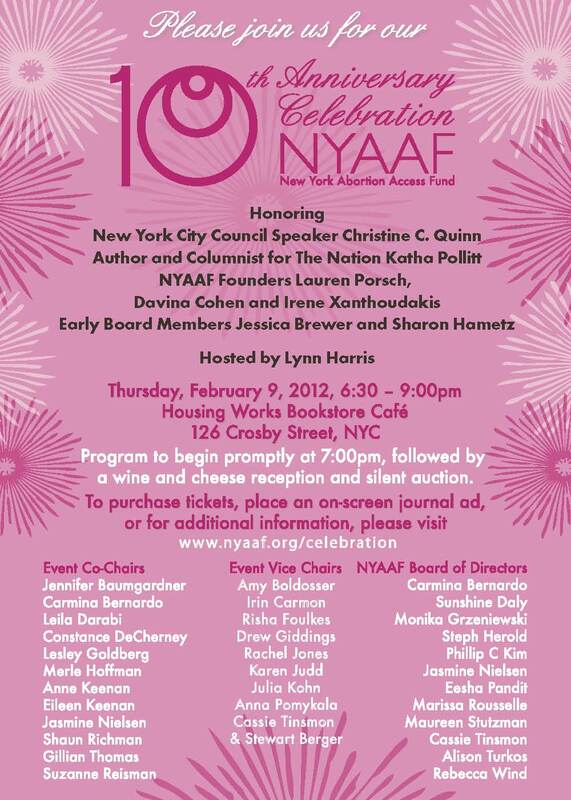 Well, tonight I’ll be attending the New York Abortion Access Fund (NYAAF) 10th Anniversary. Feminists, fundraising for abortion AND wine?? C’mon, you know I couldn’t miss that! “Since 2001, the NYAAF has helped 764 women from 25 states…In fact, the need for abortion funding is so great that over 100 grassroots abortion funds exist across the country, all members of the National Network of Abortion Funds (NNAF). No one should ever be turned away from having a medical procedure (and yes, abortion is a medical procedure) just because they can’t pay. If you’re in NYC, click here to purchase tickets or make a donation.